Holy Grail: Who will solve the problem of self powered wearables? We just don't want to charge our wearable tech - is that too much to ask? There's a point in every Wareable interview with a wearable tech founder, CEO or designer when we ask what their wish list is. And every time it's better battery tech. We're well aware of the problem - there's not much room for batteries in fitness trackers, smartwatches and particularly smart jewellery. Ideas range from building devices that don't need power - like the Tago Arc E Ink smart bracelet - to solar powered wearables like the Misfit Swarovski Shine. But the Holy Grail, the aim, the big daddy is creating self powered wearables. We want to wear tech that is powered by our movement, heat or sweat and never needs charging. A small ask, then. Annoyingly, alternative ways of generating energy are big, expensive and don't have the right level of power density. But early adopters won't accept a one day battery life for long. Companies such as Jawbone and Misfit offer wearables with six month batteries but there's always a trade off - often that there's no display whatsoever. Misfit CEO and electro-chemistry expert Sonny Vu summed up the current stance very neatly when we spoke to him last year. "Power is probably the single largest engineering challenge for the world of wearables and connected devices," he told us. "Someone has to deal with this. So, we [Misfit] build everything with power management in mind. We don't have any special sauce apart from the fact that we're really obsessed. We power manage to death. We just don't think that people like to charge things." This is the dream: compact, low power trackers, stick-ons, watches and smart jewellery that generate and store their own energy or are powered by energy generated and stored by smart clothing. The two obvious sources of energy are movement - kinetic energy - and body heat and both of these avenues are being explored. So it's no surprise that we have seen startups claiming to be able to build wearables with LCD screens which use kinetic energy, like mechanical wristwatches, on crowdfunding sites. One of these is Element1, the smartwatch that promised to never need charging. But there was very little (pretty much nothing) in the way of tech explanation from the Florida based company on its recent Indiegogo campaign page and it raised only $8,000 of its original $125,000 target. What's clear from the backers who threw caution to the wind and pledged money as well as the online interest and Indiegogo comments is that this idea captured the imagination. But not many people will back a company making bold statements to have solved this problem without proof it works. The team posted the following update to the page when the campaign was not funded: "Our team invested a lot of effort and work in this project. We are really sorry that we didn't get enough supporters for the proof of concept and for the start of the series production. But we still believe in our product the element1 and we will start a new campaign in the near future. We hope you will be a part of the new campaign." Crazy, unbelievable crowdfunding campaigns? Check. Next up, there's plenty of student design concepts exploring self powered wearables and their implications. Naomi Kizhner at Jerusalem's Hadassah Academic College based her final project in 2014 around the future of energy harvesting wearables. Her concept was a line of smart jewellery which capture energy from blinks, blood flow and even synaptic pulses from the brain. Kizhner noted that the system uses the body "as a vessel" and said "I don't know if we are ready to sacrifice our bodies this way to make energy." All theory but worth considering nonetheless. The real work is being done at universities and institutes around the world. Some startups, such as StretchSense which makes stretchable capacitive sensors, and research teams such as the scientists behind iSkin at the Max Planck Institute, have hinted they are working on making their devices run on kinetic energy. But we haven't seen any results yet. Smart fabrics are one area of interest - a team at the Chinese Academy of Sciences has developed a solar cell, for example, that can be woven into fabric. But that's not self powered, that's sun powered. More promisingly, researchers at the School of Advanced Materials Science and Engineering at Sungkyunkwan University in Korea are working on a nano-sized generator that creates energy from an electrical charge generated by mechanical stress on fabrics - in other words, twisting and stretching. "Triboelectric generation is one of the promising new energy harvesting methods with extremely high output voltage and efficiency, low cost, high versatility and simplicity in structural design and fabrication, stability and robustness," said Professor Sang-Woo Kim. Essentially it's fully flexible, robust enough to be worn and could potentially power wearables such as smartwatches. Finally, and most excitingly for the world of self-powered wearables, a team at the University of Virginia recently announced a new microchip which uses energy generated by a combination of sources including body motion, body heat and sunlight. The tiny, low power microchip has been developed as part of a nanotechnology collaboration, known as ASSIST and with its HQ at North Carolina State university. 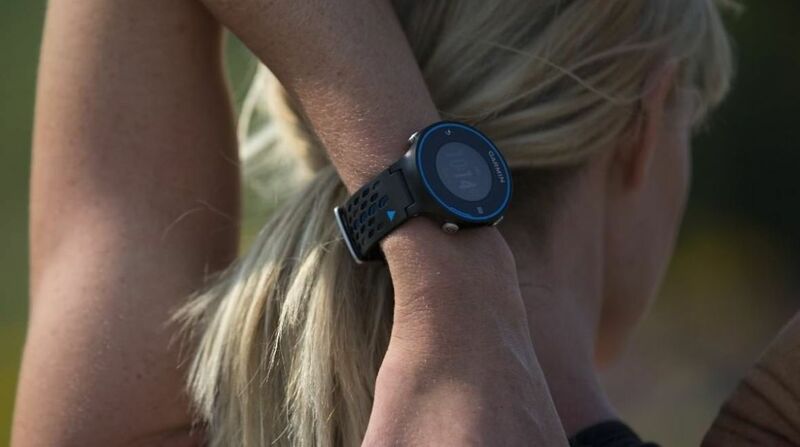 It is designed to power wearable sensors used in digital health, for instance, sensors which detect changes in the body and environmental factors which could lead to an asthma attack in children. It then sends the data to connected smartphones. ASSIST is planning to extend sensors to monitoring blood pressure, biochemical markers and wheezing and the biggest problem the team is facing right now is making sure the microchip adapts to the different levels of energy generated throughout the day from the wearer's motion, body heat and available sunlight. "As the center continues, we plan to continue extending the platform to more sensing modes. We hope our chip will inspire a new approach to wireless sensing that leverages self-powered hardware," said Ben Calhoun, associate professor of electrical engineering and ASSIST's site director. Microchips, smart fabrics, kinetic wearables, solar powered smart jewels, the future looks bright - but complicated - for self powered wearables. Stick-on sensors used in healthcare look to be the first to benefit. Don't throw away your hipster smartwatch charging dock away just yet.